Can I handle houseboat by myself? Solo houseboating for a woman? Solo Houseboating - a woman handle a houseboat alone? OK, I am in the day-dreaming stages of houseboat ownership. I spent much of my childhood on a 21' cabin cruiser and then ski-type boats on lakes and the Mississippi in Iowa, and now find myself drawn back to the water. First of all a little bit about the dream. I would like to live on my boat. At present I live in Kansas and there are several lakes close by that allow around the calendar living. Second, I'll be by myself so I need a boat that I can A) handle by myself and, B) is big enough to live on full time comfortable. I'm thinking single outboard motor because that is what I'm use to and know. I don't have to get there fast, I just have to get there. And being a single 50+ lady, I'm thinking that fiberglass or aluminum would take less up keep. What type of boat is easier for a single person to handle/dock? Grant it, most of the time she will be docked, but I want the flexibility to get out on the water. I would love to hear opinions, especially from women who are contemplating or actually own a houseboat. Well Christy, I can say congratulations on the idea of living on a houseboat and I think with the proper training and practice, you could have a great time on your houseboat. I would recommend taking a Power Squadron course, and actually spend some time at a marina near your area. 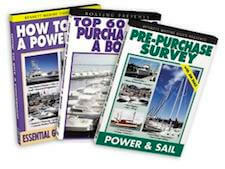 Speak to some of the local boaters who are living on their boats to see what works for you. Lastly, hopefully some of our readers and visitors (and possibly our female readers) will share and post comments about their solo houseboat experiences. Comments for Can I handle houseboat by myself? Solo houseboating for a woman? Thanks for starting this thread, Christy! I am also 50+ and starting the research and plans for solo houseboating. 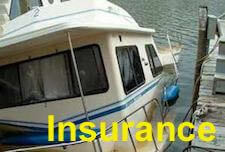 Having owned a 23' San Juan sailboat for several years I can share my insurance experience. My best starting point was having an established relationship with a great insurance agent/agency prior to buying a boat. The proven trust was the biggest factor for me. We had home, auto, and life insurance with our local Allstate agent for over a decade when we purchased a boat, so he was highly motivated to keep our business and add to the portfolio. Hope that helps! About "women going solo"... This is a valuable thread that I hope will grow in many ways, but let's not sell ourselves short before we get started (I'm saying this more to myself than anyone else!). When it comes to buying, operating, and living aboard, we are "solo boaters" - every bit as capable as our male counterparts. 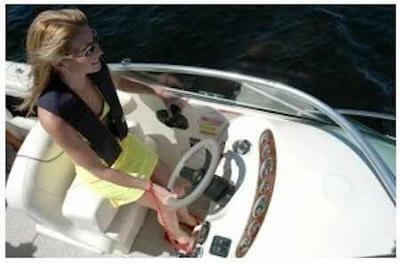 In that regard, most rules & tips for boating solo are applicable to every boater. Btw, there were several female solo boaters at the last marina I visited in Washington State. Some of my few concerns as a woman include my safety & security against unwanted intruders, and getting ripped off by vendors. I'm thinking of having a dog onboard, learning self defense (including permissible weapons), and educating myself extensively before making decisions and purchases. I don't remember seeing your hull type question addressed, so I'll chime in. Hull type is a simple question with complex answers for several reasons. First, where do you want to live? Different hull types are necessary for living in a marina vs on a canal, river, or lake, vs boating local regions or the coastlines vs hauling your houseboat around the country on a trailer as you please. Second, the advantages of each design sound great until you hear the disadvantages. For example, flat bottom boats are best for sitting in calm, shallow waters (e.g., lakes) so they're great for relaxing in serene settings, having parties, swimming and light fishing - but they're unstable in deep/rough waters and weather, and generally have little or no indoor living space. V-shaped hulls cut through the water allowing faster speeds, and sit deeper in the water allowing better stability, but you'll have to anchor farther out and use a dinghy if you don't have a slip. This just touches the tip of the iceberg on the hull topic. I am a single 56 y.o woman and would like to buy my first houseboat. I have owned a 20' bowrider and have taken a boating course years but years back. While there are a plethora of things to consider when buying a houseboat I worry most about one thing, INSURANCE! I hear is is difficult to get insurance on boats 20-25 years and older. I am not afraid of jumping in and doing a renovation on an older boat, in fact, I think it would be the way to go in order to customize the boat to my liking. However, with the insurance companies tightening their noose I fear that due to the age of an older boat, I will be left stranded. I have been around boats all my life and yes, I have seen lots of women run boats. So I know you can do as good as anybody else can. As for a houseboat I sold mine about a year ago, and I'm looking maybe to buy a different one again. Since once you have one, it is hard to be without one. I also did my boating on the Mississippi River, Illinois, and Iowa. So I would say go get one you well love it, and it's a completely different world on the river. Stationary Houseboats - why or what engines? 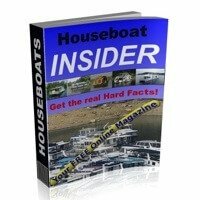 Why do you need an engine on a houseboat? I have read a number of historical books on houseboating and have found that in the old days many houseboats did not have an engine. If you wanted to move it you called a tug, which could be any boat big enough to pull it. If you move around a lot, sure, you need a motor. If you just sit for months at a time you have an expensive motor and drivetrain deteriorating and possibly leaking. I have found some wonderful spots, backwaters out on a local river, and I am contemplating a houseboat or shantyboat in my boatbuilding queue and feel like I should leave off the motor. I have an electric launch which could be the tender and possibly the tug! Here in Florida, the cost of licensing skyrockets with length on POWERED boats, but you are otherwise left alone. 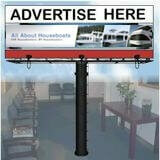 Has anyone every heard or known anyone who bought a houseboat on Ebay? Is this really even sane. I typed in Used Houseboat for sale in Kansas and one of the links took me to Ebay. There was actually a boat that "looked" pretty good and was only about 9 hours away. Problem is it gave almost no info on it and had only 3 hours left to bid. The active bid was $3000 for this 33 footer. They had limited pictures and no way of knowing "when" the pictures were taken. If I had seen this sooner I might have been able to do more research on it or maybe even gone down and look at it. I was just wondering if Ebay was actually a possible good place to find a good fixer upper bargain. Anyone heard of someone having good luck with Ebay? I plan to go solo on a houseboat also. I have decided on the location, Florida. A 55 yr old woman who likes the water and fishing. Too bad all us single women can't live in the same area. I do have limited experience with a houseboat but was able to handle it and dock with out a problem. I have taken two boating courses but they were for small boats. I will welcome any suggestions. I just want to thank the woman who posted this original question about being a solo woman on a houseboat. I too am in the dreaming stage and am looking first of all for a houseboat I can rent for about 3 months this coming winter ( in a warm climate, that is). I wish you the best of luck and am grateful for the suggestions I have read here. Does anyone have any leads for 3 month ( affordable) rental in a warm US climate for next winter. From my limited experience, I've found that the people at the marina where you rent are a big help getting your boat into a slip or up to the dock. It's in their best interest that you don't damage their equipment. But more so they are just plain service oriented. Take all the courses and hands on training you can get until you are comfortable handling your boat on your own. These courses will help you to tie up away from the dock. If they don't, ask about it. There are ways to tie up alone that are not that difficult. A small tag along boat though would be helpful. An aluminum or fiberglass hull would be less maintenance but no hull is no maintenance. They all need to be hauled occasionally for cleaning, paint or other repairs. I will agree that driving a twin motor craft in tight quarters is easier and safer. On the other hand it's twice the maintenance. But it's probably worth it for a solo boater. 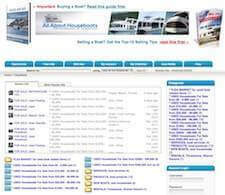 What shape of houseboat hull? Thanks everyone for you opinions and advise so far. It looks like I need to find a place that gives lessons in dual engine training. I have been leaning toward fiberglass hull but the one comment about beaching a boat with out worry now has me thinking. I guess it will depend on the age of the boat.....when I finally get that far. Another question I have is "what shape of hull do you like?" Does the shape make a difference in the handling? I'm familiar with full hull boats but am open to suggestions. Twin engines are great and really help in docking. We have twin four cylinders and that is plenty of power for our 60 ft Sumerset on a lake at the Missouri/Arkansas line. We really like the aluminum hull as we can beach the boat without worry. We sometimes tie across a cove but still bump the shore line to tie to a tree or boulder on the shore. Handling the boat by yourself shouldn't be a problem but docking and tying to a shore line or across a cove would be a challenge with any wind at all. We spend a lot of time on our boat and most of it is away from the dock. 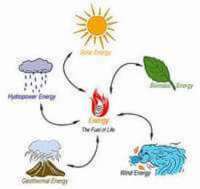 We have an inverter that runs off of 4 deep cycle batteries. It will keep our fridge going a couple of days without having to run the generator. We also use a small Honda EU200I generator for charging the batteries if needed. It runs about 8 hours on a gallon of gas instead of the big generator using 5 gallons in that same time period. Best of luck to you! Man or woman makes no difference, the apprehension of handling a large boat alone is the same, at least for anyone with good sense. Last fall I purchased the boat of my dreams since I was 15 a 41' Hatteras. Now I am retiring and may soon choose to live aboard full time. Right now I won't go out alone mainly because I don't feel I know the boat well enough and because the Upper Mississippi (Iowa) can be a challenge with no lookout. As for one vs two engines if you ever pilot a twin engine vessel you'll never want to go back. I learned the difference once when I lost one engine. Maneuvering, particularly in tight places like the marina or a lock became a nightmare. Someone who regularly pilots with one engine will probably have a different opinion but that's my 2 cents worth. I'm in the same 'boat' (sorry)-- female wanting to solo live on houseboat; in my case I have NO experience with boat operation. So, I sure hope more women with such experience provide comments here! I need to decide what to buy, whenever I get around to it. I plan to take a bunch of courses, naturally, but still need info on boats solo women have. Twin I/O & Fiberglass Hull All the Way! Hello Christy, my husband and I live on a 52-foot Harbormaster Widebody on the Ortega River in Jacksonville, Florida but we started our water-living lifestyle on the Allegheny River in Pittsburgh, Pennsylvania. I took the Skipper Saver course offered by the local Power Squadron and part of the course was learning how to dock our twin I/O engine boat. I can't tell you how much easier it is with two engines! Learning how to use differential thrust is invaluable. I've seen grown men struggle with single outboards on a houseboat and it is not a pretty sight. Maybe lake living is easy (you don't have river current to contend with), but what happens if your single engine cuts out? Go for two! As for fiberglass vs aluminum, my husband says you could have issues with electrolysis in an aluminum hull, which can corrode the aluminum.